You may know that active-duty military members get certain privileges regarding their mortgage and auto loan payments. But did you know that these benefits extend to credit card debt as well? Kitsana Dounglomchan, a 12-year Air Force veteran, recently recounted in the Clovis News Journal how he learned of the credit card privileges provided for active-duty people through the Servicemembers Civil Relief Act. The story he told was about his boss, Master Sgt. Joshua Watts, and it may prove useful for credit card companies not well-versed in the subtleties of the legislation. The SCRA applies to a variety of financial obligations — not just vehicle and home loans — and knowledge of the legislation’s applications can help you stay out of legal trouble. Watts explained that prior to his dealings with his credit card company, he had always assumed that the SCRA only applied to debts incurred prior to or during military service. He noted that he used to call his credit card company and ask to have his rate reduced, but that he had always received the same answer: It couldn’t be done. Watts eventually took his efforts a step further. Rather than just calling the company again, he filled out an online form verifying his military service, and quickly received a lower interest rate. That’s not all that Watts got under the provisions of the SCRA, though. 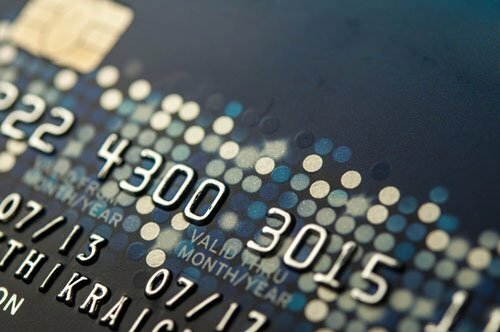 The law requires credit card companies to do a number of things when a servicemember requests a lower interest rate. First, the firm must backdate the rate to what it was when the individual began military service. So if a servicemember had a lower rate when he or she was deployed than he or she has now — let’s say a few years later — and the individual requests the interest rate from three years ago, bankers are obligated to follow through with that. Additionally, the SCRA requires that any request for a lower interest rate be followed by some form of refund. So all the extra money that the servicemember paid as his or her interest rate that grew over the years? It must be given back upon the request for a backdated interest rate. For example, in Watts’ case, the credit card company paid him $5,000 after lowering his interest rate. The SCRA provides servicemembers with some flexibility in many of their financial obligations. This is because their service sometimes hinders their ability to meet them. If banks wait for servicemembers to act, it may not work out as well as it did in Watts’ situation. Banks that wait too long will have to dole out back pay. Additionally, some servicemembers may be inclined to take legal action if they feel banks infringed upon their rights. Banks should double-check customers’ active duty status to find out if they are eligible for SCRA benefits.